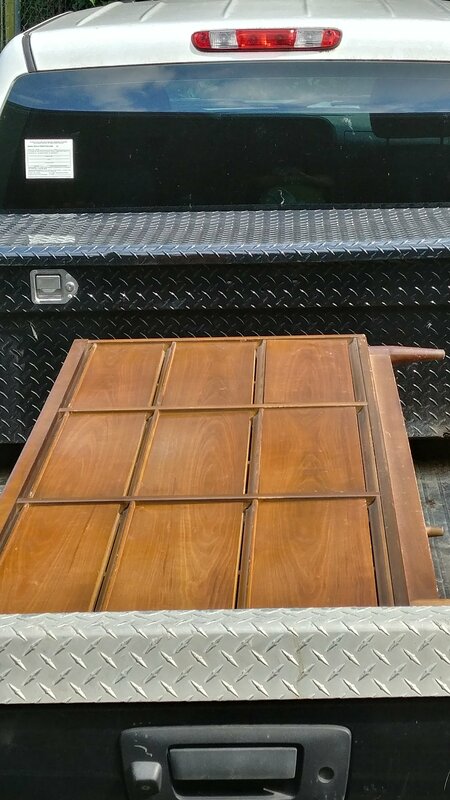 I went to The Rusted Barn today to pick up Jake’s dresser. It’s supposed to be beautiful weather this weekend, so I thought I could get it painted and get it into his room before his school starts on Monday morning. While I was there, I had to look at all of Tina’s new fall decor of course! I found all sorts of things that I absolutely loved! 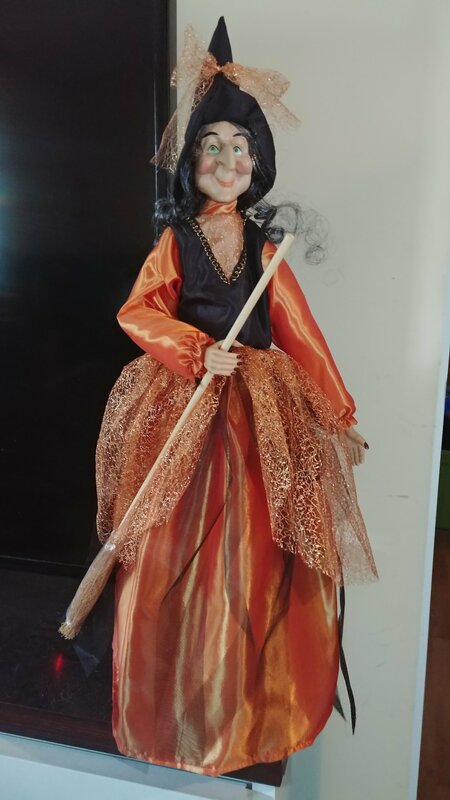 I wound up buying the cutest Halloween witch decoration, and I think I will use her on my mantel shelf starting the last week of September. 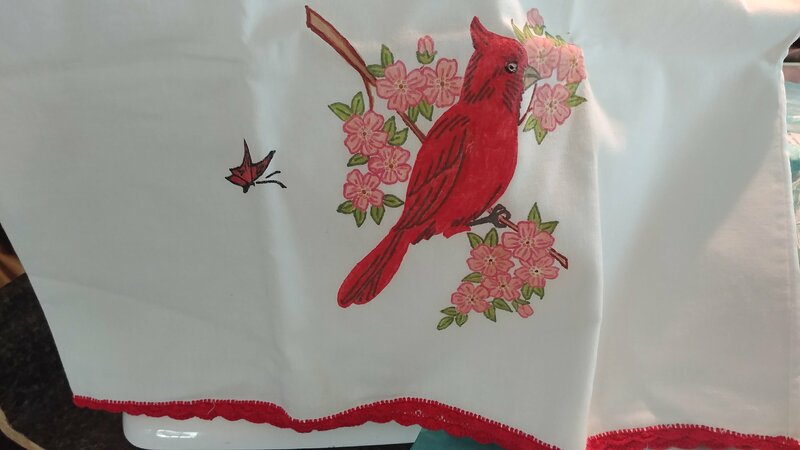 I also found these vintage pillow cases with cardinals and red pom-pom trim on them, and I absolutely fell in love with them and had to have them. When I got them home and started looking at them, I realized that they look like needlepoint patterns! I’m going to try my hand at doing some hand embroidery over the pattern on each one. I’m hopeful that they’ll turn out so cute for Christmas! Instead of putting them on our bed, I think I will use them on the couch in the living room and simply cover two of the pillows that I have on there right now. Last, but not least, I found a hutch that had a set of cookbooks on the bottom shelf, so of course I had to look through those because, well, BOOKS! Inside one book was this Gooseberry Patch mini book, and when I asked Tina how much she wanted for it, she only charged me 50 cents! 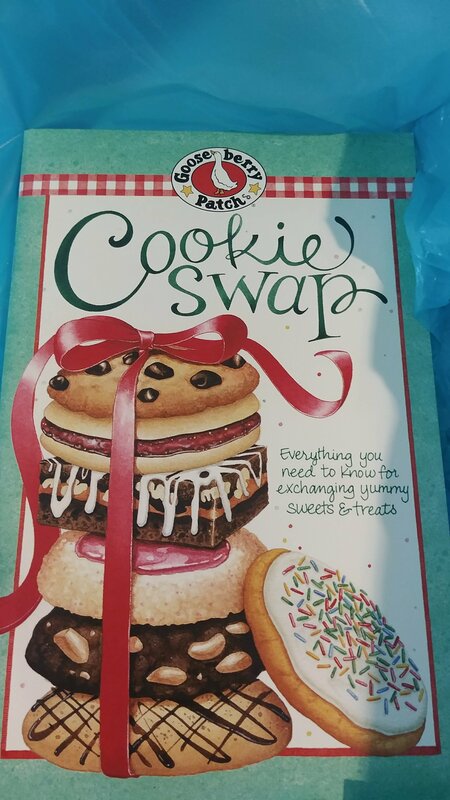 I plan to spend the rest of the day picking out cookie recipes, getting the ingredients listed on Google Docs so I can catch the ingredients on sale at the grocery store, and planning a cookie swap party for the holidays.